We all know that we should be eating more fruits and vegetables. And smoothies are the best way to get in a lot at once! Throw in a couple fruits and some spinach or other vegetable, and you’ve got a perfect, nutritious and delicious smoothie. But if you’re a busy parent like me and have early rising kids, you know we just don’t have time to chop up everything each morning. 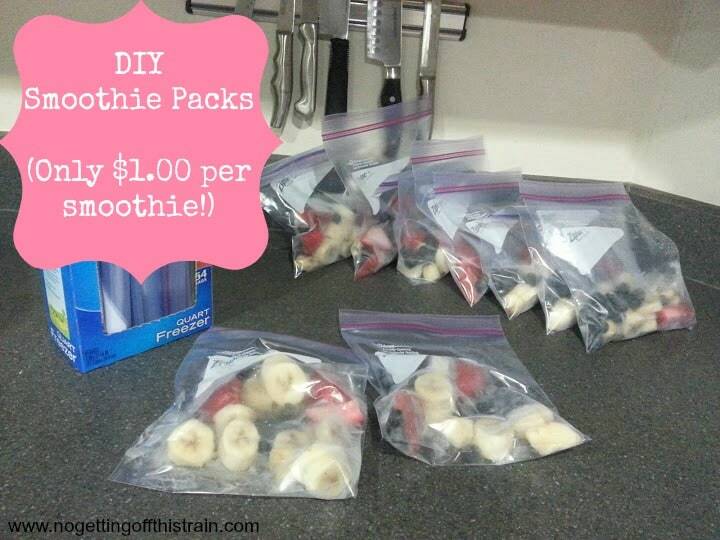 These DIY smoothie packs take away the morning stress and ensure that you can still get a nutritious breakfast in you and your kids! 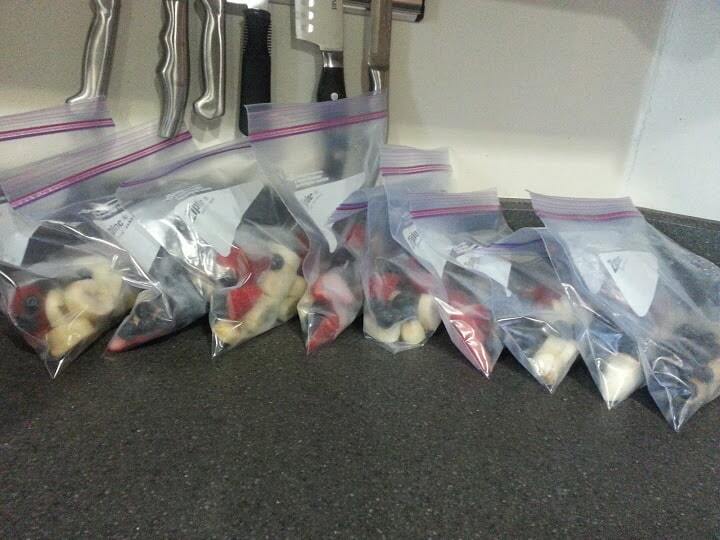 Just take a half hour on a Sunday evening and have all of your smoothies prepared for the week. First, you need your fruit! Here’s my current situation. I bought a ton of these strawberries, blueberries, and bananas on sale and just chopped, froze, and stuck them all in giant bags for when I needed them. Note: I HIGHLY recommend flash freezing your fruit before putting them in individual smoothie bags! By doing this, you make sure that all your fruit won’t freeze together into one big lump, which makes for very difficult blending! 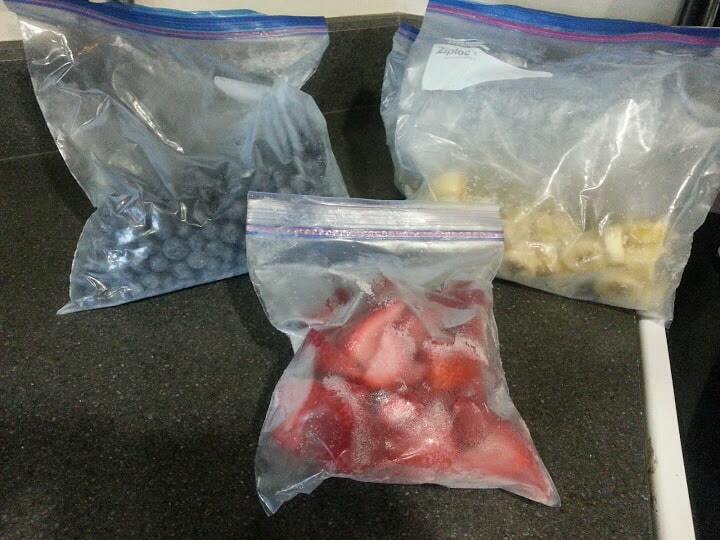 Once your fruit is frozen, you can get it all out and start separating it into individual freezer bags. 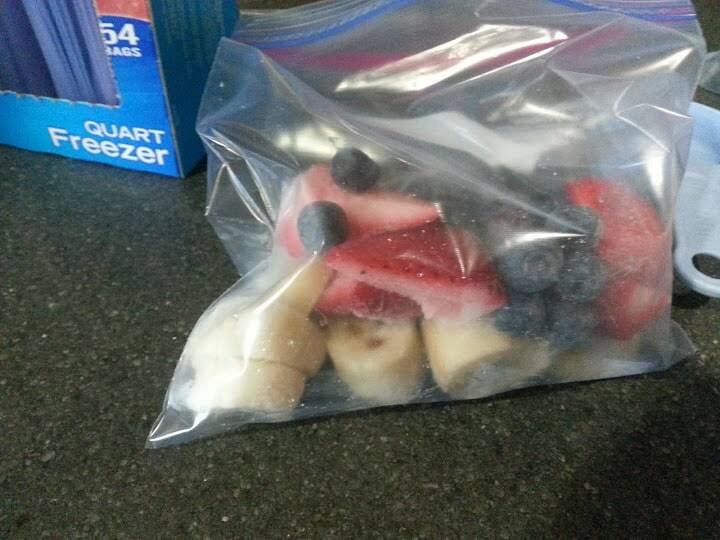 I used 8-11 banana slices (Equal to 1 banana), 2-3 strawberries, and about 1/4 cup of the blueberries. I made 9 bags, and I still have lots of bananas and blueberries leftover for other things! 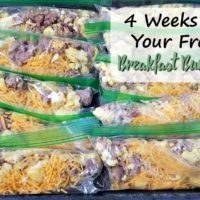 Just stick these in the freezer until you need them; dump the contents of the bag into the blender and add a cup of almond milk, and you’ve got a huge breakfast smoothie! The great thing about smoothie packs is that they’re so versatile; you can use whatever fruit is in season, or add veggies like diced zucchini! No matter what you add, you’re still keeping costs low by making them at home rather than buying one at your local smoothie shop every morning. 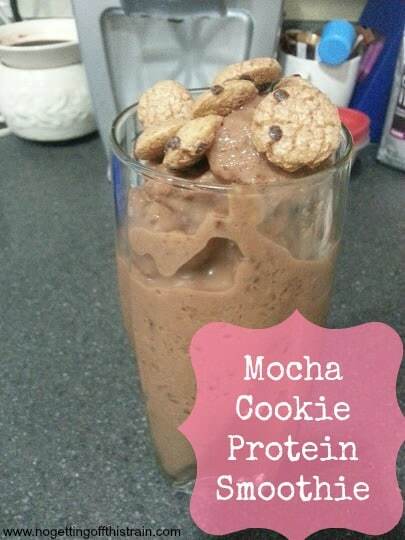 These cost approximately $1.00 per serving! Isn’t that so much better than the $5.00 you could be paying? What do you like to add to your smoothies? 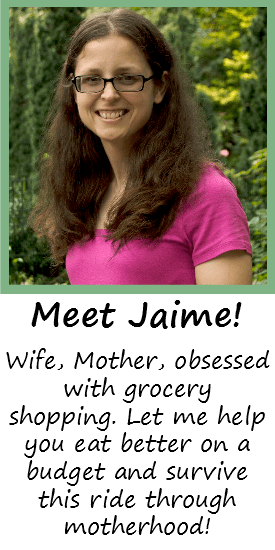 Share your recipes with us! Good idea! I’ve been buy the huge bag of mixed fruit for my smoothies. Probably Ben cheaper to buy, chop and freeze myself. This way I can get my daily banana too. We but bananas and before we get them all are they ruin. Thanks for the tips. Depending on what you buy, the frozen could be cheaper! Right now I think fresh strawberries and blueberries are cheapest. =) My dad also gives us tons of bananas every couple weeks, so I definitely know what it’s like to have too many bananas to eat before they go bad! I love prepping for meals on Sunday’s so my week is less chaotic. What a great idea for smoothies. I’ll have to add this to my weekly prep. I like to add a handful of kale or spinach to my smoothies and chia seeds. Meal prep is great! 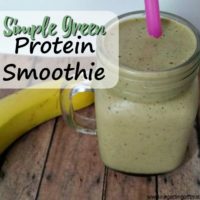 I’ve added spinach to my smoothies before; it’s a great way to add veggies! That’s actually a great idea! Brilliant. I love this idea! I make smoothies every week for my hubby so this would save a lot of time by having it already ready to mix. I need to do this! Every week I regret not pre-portioning food and snacks. Another thing on my endless to-do list…. ahh motherhood. This looks familiar…we do this all the time. So easy!!! This is such a great idea – very convenient! I had some old bananas yesterday – wish I’d thought of this!